Cross, Racing, Go-Cart samt Kedjesågar som kräver helsyntet. Godkänd av SVENSKA BILSPORTFÖRBUNDET 2009 06 22. 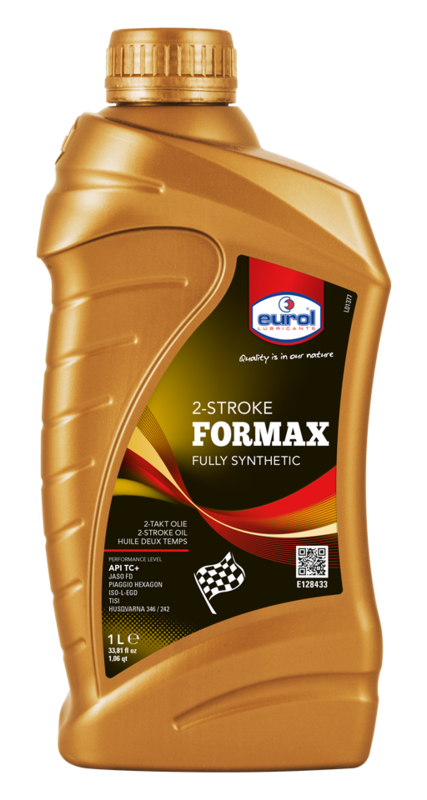 Eurol 2T Formax is a fully synthetic 2-stroke oil for air and water cooled 2-stroke engines. It can be used in pre-mix and oil injection systems with both leaded and unleaded gasoline. 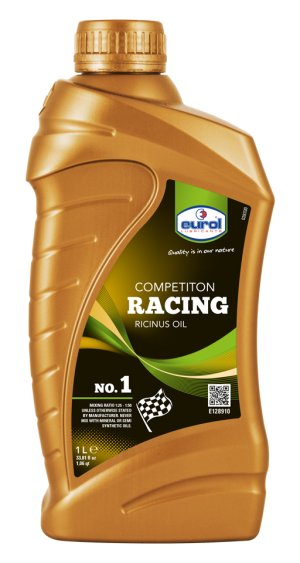 Eurol 2T Formax is recommended for very heavy loaded 2-stroke engines in applications like race, cross, competition, chain saws, jet ski and go-karts. In all these applications, the strong lubricant film stays intact, also at high temperatures. This results in an optimum lubrication and protection of cylinders, pistons and bearings. Eurol 2T Formax offers excellent deterging properties which prevent the building of carbon deposits. Exhaust ports and spark plugs are kept clean. Eurol 2T Formax offers an excellent protection against rust and corrosion and prevents wear of heavy loaded parts. Because of the special additives, Eurol 2T Formax is a low-smoke product which hardly smells. Eurol 2T Formax can also be used in snowmobiles and chain saws.